You can add or remove email addresses from your Interfolio account, but every account must have at least one email address linked to it. If you choose to associate multiple email addresses with your account, you will need to designate one of them as your "Primary Email." 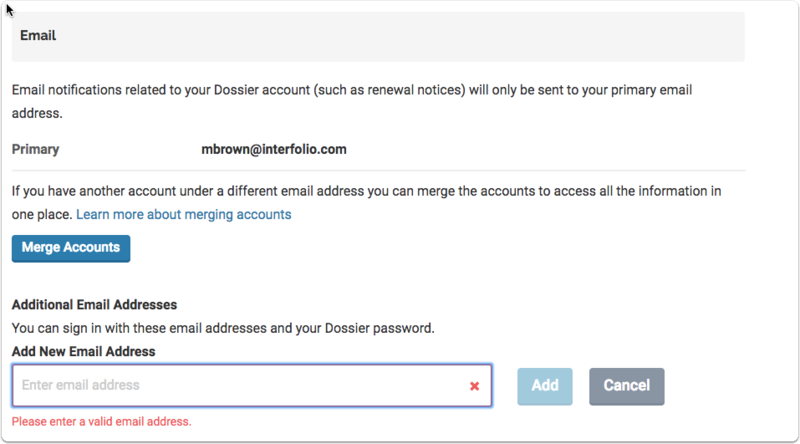 Email notifications related to your Dossier account (such as renewal notices) will only be sent to your primary email address. 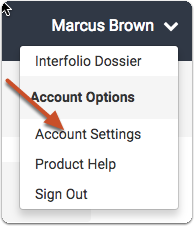 You can add additional emails, and use those email addresses along with your Interfolio password to log into your Interfolio account. Not receiving our emails? Take a second to add Interfolio to your contacts list so they don’t get stuck in your spam. Otherwise, send our team an email (help@interfolio.com) or call (877)997-8807. Note: Every account must have an email associated with it. 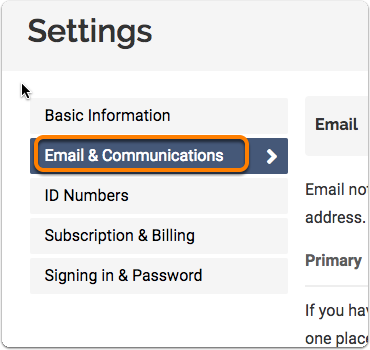 You cannot edit the primary email directly, but you can create an additional email and then make that email the primary address on your account. Enter the name of your new email address and confirm. Your primary email address is where correspondence from Interfolio will be sent. If you have email accounts associated with your Interfolio account that are no longer in use, it’s a good idea to remove them. Every account must have at least one email associated with it, so you may need to add another email address and designate the new email as the primary address on the account in order to remove an old email.